Our OEM solutions are behind some of today's hottest products, from wearables and action cameras to high fidelity home and automotive sound systems. Each solution is a turn-key suite of algorithms tailored to the needs of a specific product area. The solutions are delivered as software libraries which can be easily integrated into your product. We leverage our Audio Weaver® technology to rapidly deliver, integrate, tune, and test your product. We would love to put something together for you, too. Many people find voice control to be the most natural and easy to use interface. Unfortunately, it can also be one of the most challenging technologies for product makers to effectively implement. Our Voice UI solution is a complete set of algorithms for enabling near-field and far-field voice control. These front-end audio processing algorithms run on your product and integrate with leading back-end voice recognition APIs. The solution is robust and works in noisy and outdoor environments. Wind noise can overwhelm audio input and recording devices that are used outdoors. DSPC Wind Noise Reduction solves this problem for systems with 2 or more microphones and is part of a complete solution for outdoor voice input that includes our automatic gain control, beamforming, and acoustic echo cancellation algorithms. Our algorithms are flexible and can be tailored to your acoustic configuration, whether you need to support 2, 3 or more microphones. We also provide system level design guidance on microphone placement and the cost/benefit of more microphones. Many cutting-edge products include microphones for audio input (e.g., for voice commands or conferencing) and speakers for audio output (e.g., for music or voice playback). These applications require algorithms to mitigate coupling from speaker to microphone and interference from ambient noise. 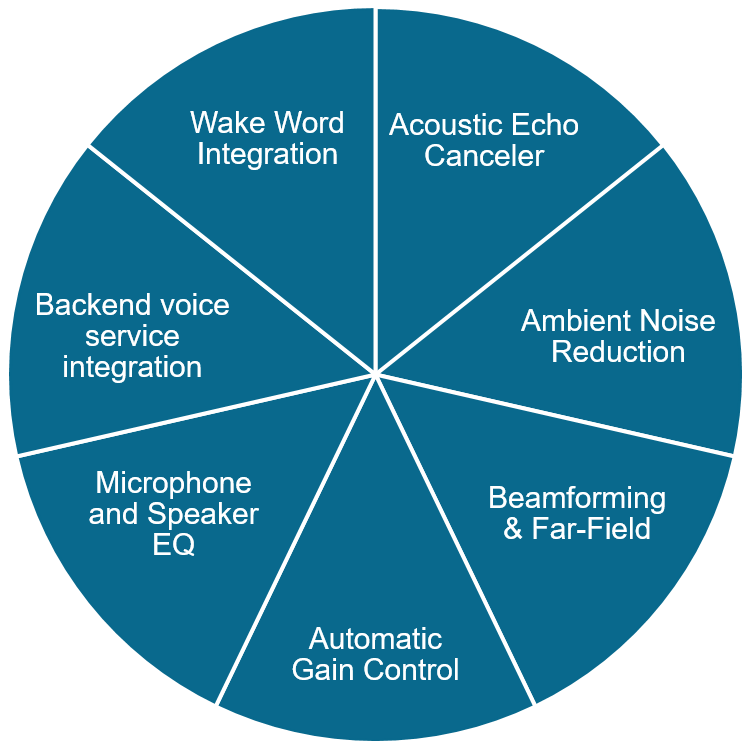 DSP Concepts offers Voice User Interface Algorithms to enable your customized solution. Evaluate and choose different microphone configurations and experiment for the best performance using the least number of microphones. We apply machine learning for acoustic event detection. Our technology has been used in medical devices to detect coughs for the diagnosis of asthma in children. The underlying algorithm is flexible and can be trained to detect a variety of acoustic events. Automobiles have some of the most complex audio systems. From playback to hands-free telephony to the next generation of Voice UI, our solution has all of the components needed for your automotive product. We are also a leader in eSound systems to warn pedestrians of approaching electric vehicles. 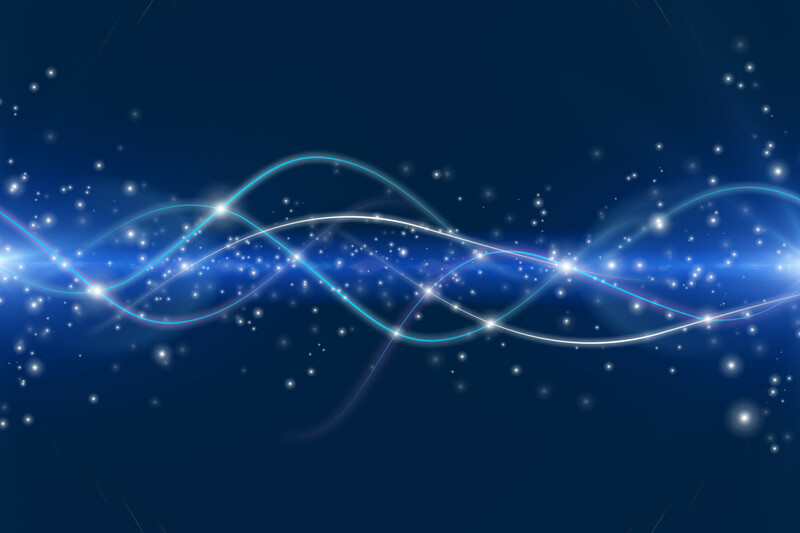 Our ASRC algorithm is offered outside of the Audio Weaver® framework. This library is available for the ARM Cortex-A, Cortex-M4 and Cortex-M7. It is a superior implementation with a very low noise floor. The built-in control loop allows the algorithm to be quickly integrated and is designed to work in multi-threaded environments. Are you concerned about the sound quality of your product? Our playback solution contains a full set of loudspeaker enhancement algorithms including equalization, multiband compressors, and peak limiters. We also have bass enhancement and specialized algorithms to maximize the output of small speakers. Our algorithms are in award-winning products delighting the most discerning listeners.